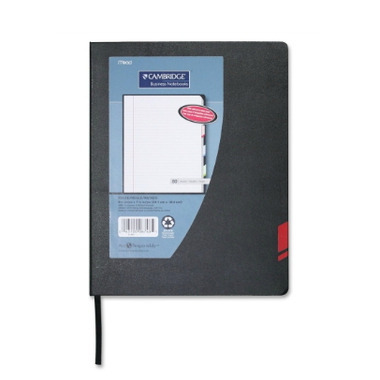 Professional looking hardbound notebook offers colour tab accents on spine and front cover. Features quality ruled-with-margin recycled paper. Includes date box, ribbon page marker, index page, write-able spine and adaptable sticker tabs to help you organize your notes. Notebook contains post-consumer recycled material.